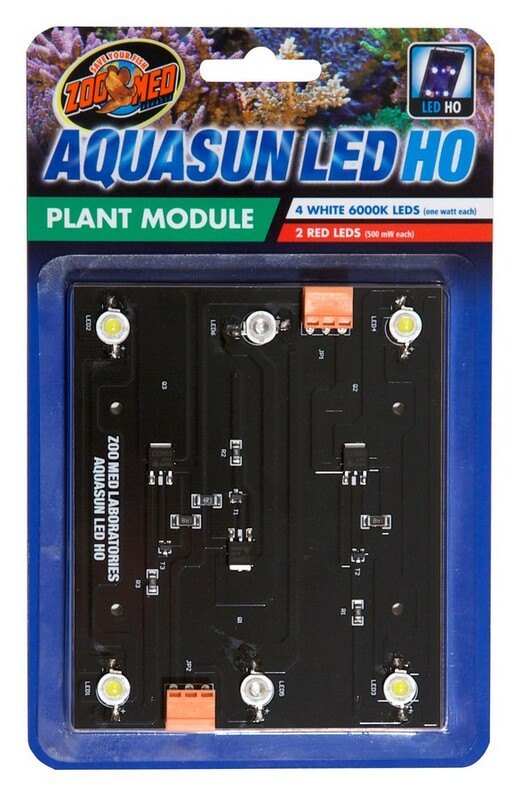 AquaSun® LED HO – Plant Module | Zoo Med Laboratories, Inc.
Plant variation module for the AquaSun® LED HO Aquarium Fixture. Designed to provide the correct wavelengths needed for promoting chlorophyll absorption and photosynthesis. Includes four white 6000K LEDs (one watt each), and two red LEDs (620 to 630 nm, 500 milliwatts each).